Collecting baseball cards is a favorite American hobby, but as we’ve determined here before, some people are too into cars to have time for other sports. For those people, I would like to introduce the Topps World on Wheels collector card series. 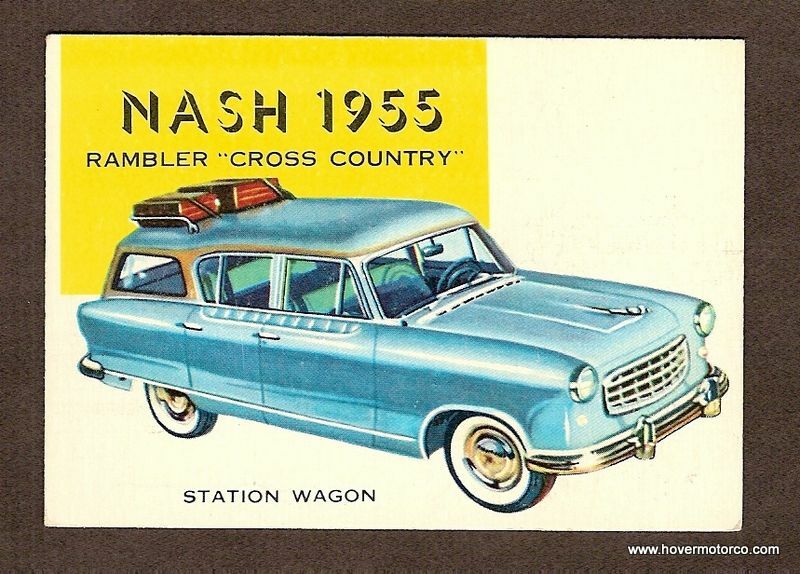 Produced between 1953 and 1955, these vintage bubblegum cards are popular among card collectors and car lovers alike. 180 different cards were produced for this series, but the last 20 are the most collectable. 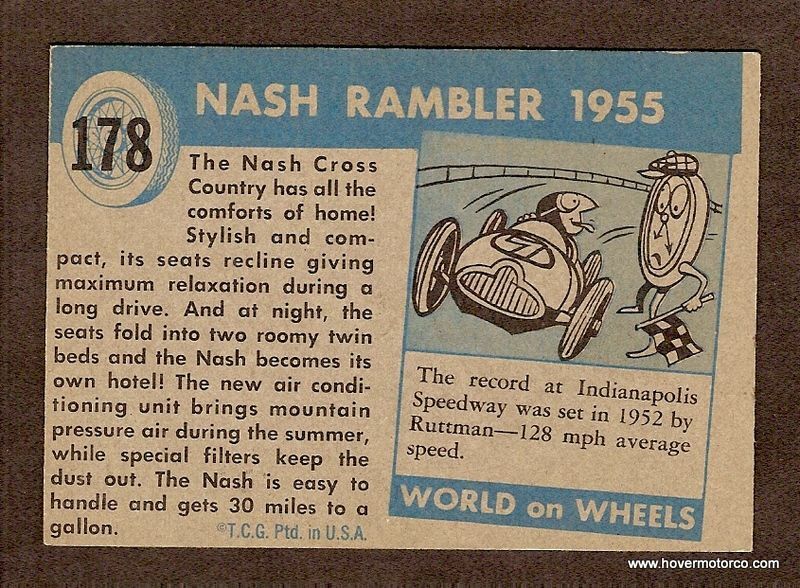 It is possible that the series was supposed to stop at the 160 mark, but they proved to be so popular that a limited run of new cards were produced. Due to their limited run, it is those last 20 cards, #161 to #180, that have proven to be the most valuable to collectors. For example, most of the early series cards bring somewhere in the neighborhood of $1.00 to $10.00 in good condition. High number cards can fetch anywhere from $50.00 to $120.00 in mint condition. Even higher if the backs were printed with the rare red ink. The World on Wheels set really is a quaint, fun '50s collectable. The artist renderings of the cars on the fronts of the cards are vivid and colorful. You could never mistake them for anything but true, period artwork. The back includes a little blurb about the car, and well as a joke or fun bit of car trivia. If you are a serious collector of vintage car memorabilia or trading cards, or if you just want a fun, period piece of history that you can start collecting on the cheap, look into the Topps World on Wheels trading card series. You can just imagine a kid in the 1950s chewing up a baseball-sized wad of gum just to complete his collection. For some up-close examples of notable cards from this nostalgic series, please check out the slide show following this story.